Shrink tunnels for bottles with conveyor. Shrink tunnels for bottles with conveyor heat tunnel will fill all your needs from shrink to clear full bottle sleeves to neck bands to full body printed shrink sleeves Rigid containers, Plastic bottles, Glass bottles, Cans Up to 300 bottles per minute Target Market Beverage, Food, Nutraceutical, Pharmaceutical, Dairy. 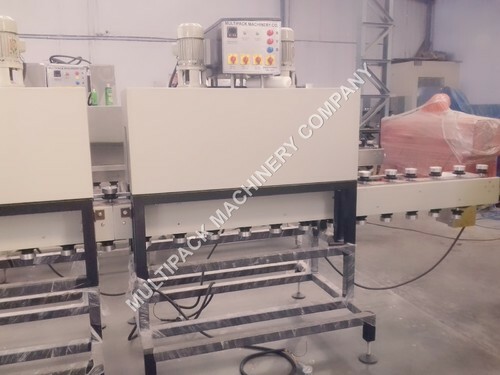 We are a professionally managed organization enthusiastically functioning in the market as a renowned manufacturer, exporter and supplier of excellent quality Shrink Tunnel Machine For Bottle . 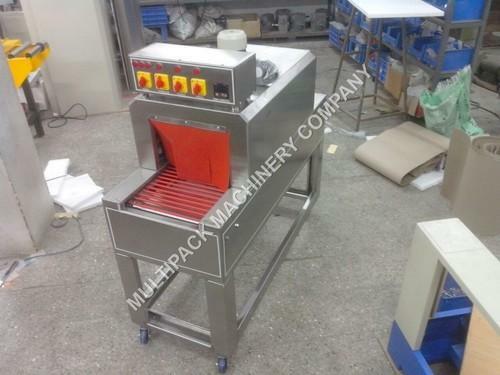 Used for sealing bottles, this machine finds its wide application in packaging industry. Food, Fruits, Salty Foods, Toys Stationery, Drugs, Electronic Products, Cosmetics, Books, Videos, CDs, Hardware parts, and accessories, etc, for shrinkage use. 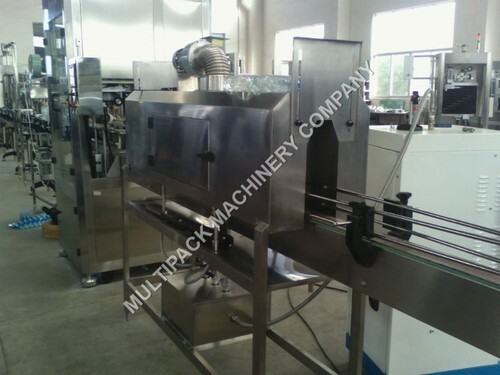 In the case of diffierent and irregular round bottles,square bottles and flat bottles etc, the new-style steam shrinking oven is easy to adjust and maintain.It has an even shrinking. The distribution of low-pressure steam drum and spouting way of steam are uniform and designed with seamless tube.The nozzle is divided to be adjustable three segments and the height ,position and steam output of every segment can be adjusted respectively so as to gain the perfect shrinking.The whole machine is made of stainless steel with heat preservation , which not only saves engery ,but also complies with the international safety standard .The stainless steel defrosting tray collects condense water.The whole machine adopts the water-proof design with the convenience of easy operation and low maintenance. We are specialized in manufacturing, exporting, importing and supplying a broad collection of Steam Shrink Tunnel. Developed by our skilled and trained workforce using high grade components and advanced technology, this tunnel is designed at par with the set quality standards. Additionally, we provide this tunnel to our clients in both, standard and customized options as per their various specifications. Owing to the expertise of our professionals, we are able to manufacture, export, import and supply our valuable clients a wide range of Electric Shrink Tunnel . Can be installed or added to any production line for empty or filled bottles. This product is robustly designed & easy to install and is known for features like user-friendliness, corrosion resistance and strong construction. Clients can avail from us this tunnel in different technical specifications. With the help of our skilled professionals, we are involved in manufacturing, exporting, importing and supplying a comprehensive range of Mini Shrink Tunnel. The offered tunnel is designed using the best grade components and sophisticated technology. This tunnel is stringently tested on various parameters in order to deliver a flawless range at clients’ end. Furthermore, clients can avail the offered product from us at the most affordable prices. Among the professionally driven manufacturers and suppliers, we are affianced to offer a wide range of Shrink Tunnel . Designed with conveyor system, this tunnel is suitable for heating packaging films to snugly wrap around the objects. Food, Fruits, Salty Foods, Toys Stationery, Drugs, Electronic Products, Cosmetics, Books, Videos, CDs, Hardware parts, and accessories, and all kinds of necessary. 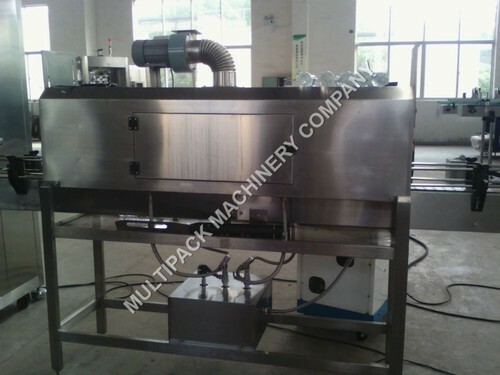 Bottles / Jar and Tin Shrink Wrapping Machine. Our professionals hold expertise in manufacturing and supervise each and every manufacturing step, precisely. They make use of high-grade raw material that is procured from reputed vendors in the market. Our customers can avail these products from us, at affordable prices. 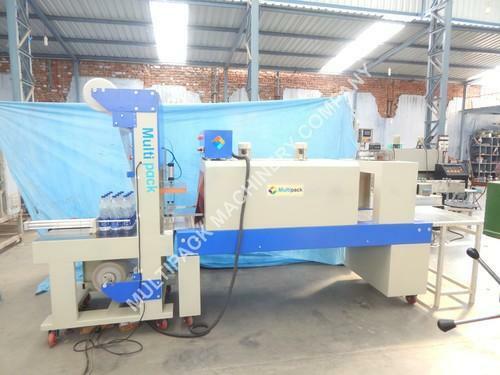 With organization commitment to quality, we are highly involved in providing a flawless range of Shrink Tunnel with Web Sealer for Group Packing of Bottles. 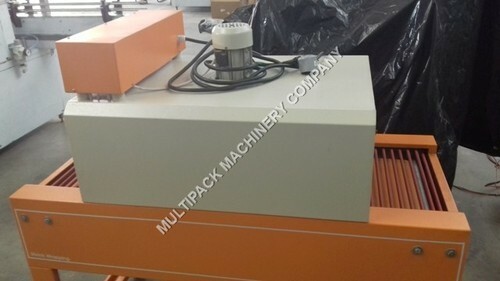 Supreme quality mechanical and electronics parts are used for long working life of the packaging machine. 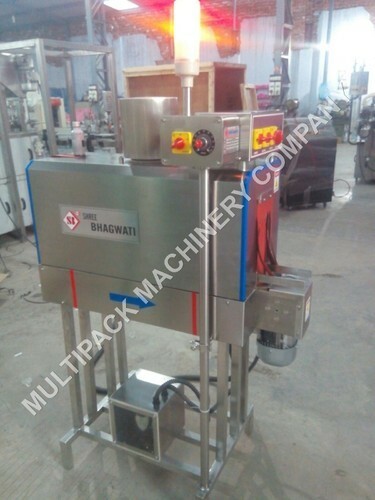 Our equipment is simple in design and hence easy to operate and maintain. Looking for “Shrink tunnels for bottles with conveyor.”?